Rohingyas are still confined and faced the worst part of difficulties with foods and medications. Those in Northern Arakan state are extraordinarily facing constant harassments of authorities. Homeless Rohingyas from Kyaukatw and Rambre townships received nothing from the beginning. Overall those additionally dying day by day from starvation and sick are mostly children and older people. 27 July: According to ERCA's member Razak, 4 Rohingyas patients involving women who approached to hospital were took over by Rakhines. After hours of intervention by hospital staffs they were finally released and the staffs send them home safely..
Mr. Razak received a source via a monk confirmed that about 60 Rohingya youths arrested from all over Maungdaw town were handed to Buddhist monastery of Hunri Fara by yesterday evening and each time 3 to 4 Rohingyas are taking away for execution. A source came from the two famous Rohingya informers known as Zubair from Manawma village and Sayad Alam from Darga Fara (Nasaka Area-6) who worked more than a decade with Naska authority, confirmed that there are thousands of human bones and skulls in the valley of Hawrawla Zuri (Valley of Hawrawla Mountain) situated at the base of the mountain within the Nasaka head quarter territory of Kyikanbyin (Hawabil) village. They both confirmed that thousands of those Rohingyas executed from the past ten years were thrown into the valley. They also said that the Nasaka Chief Commander- Aung Gyi was picked up for interrogation from Nasaka head quarter by a Helicopter which came from Sittwe sine the end last month as a result of Rakhine community lodge a complaint against him for releasing Rohingya arrestees. Since then, a new commander who is a Rakhine origin has been replaced. The Nasaka troops also came to pick up the both informers but they managed to escape early after they received information. 25 July: A Rohingya from Kyaukpyinseik (Naribil) was arrested by Nasaka. The source said Nasaka authority came to arrest mobile phone holder his brother with the suspect of informing news. When his brother was not there on the time of Nasaka arrived, the younger brother was lifted. 24 July (Kaladan Press): The police officer from 3 miles check point arrested 4 Rohingya from Samawna para near the Myothu Gyi villager yesterday evening at about 5:30, said an elder from Myothu Gyi village. They are Abdul Sukur s/o Reyaz, Abudl Sukur s/o Kala Meah , Rashid s/o Abdul Sukur and Putu s/o Abdul Sukur. 23 July (Kaladan Press): Nasaka arrested Somi Ullah s/o Dilu, Rahamat Ullah s/o Dilu , Nur Hashim s/o Basher and another from Guna Para of Shwezarr Village. Shadek Husson s/o Osman from Sawmawna para was arrested by Nasaka station near Natala (Shetler) village at about 4:30pm, but he was released by ransom 20,000 Kyat payment. On the other hand, Abul Bashar s/o Zakawriya and Yasein (Converted Rohingya) from Thanda village were arrested by army but the relative are worried for them as the army took them to the jungle and no information about them. Besides, Abdullah s/o Nurmal Hakhin, Habib Ullah s/o Sultan, Maghgul s/o Abdul Rashid and Foor Khan s/o Ali Husson from Alay Than Kyaw were arrested by Nasaka. 22 July (Kaladan Press): The officer from Nasaka Area Number(6), summoned all village admin officers with five religious leaders at his office at about 9:30am. After meeting, the officer arrested 5 religious leaders – Moulan Abu Siddique-45 from Hla Poe Khuang (Sorfordin Bil) village, Moulana Yousuf Ali-40 from Zin Paung Nyar village, Moulana Mohamed Alam-40 from Poungzarr village, Moulan Kawlim-40 from Hlabawzar and Moulana Dil Mohamed-40 from Hlabawzarr. Besides, the Military Intelligence and Nasaka arrested 4 other Rohingyas from the Juma Moaque of Thayai Gonetan (Knonena Para) while they were praying in the veranda (porch). The arrestees are; - Moulana Fazal Haque-50, Butu-31, Amir Abdul Gaffor-42 and another Moulana. The arrestees were kept in the Nasaka custody of Nasaka area number (7). Similarly, the Nasaka and Military Intelligence arrested 6 Rohingyas from Pa Nyaung Pingyi and 3 Rohingyas from Du Nyaung Pingyi in the morning. Most of the arrestees are religious leaders or students. "In Buthidaung Jail 43 dead bodies of Rohingyas were buried in a mass grave near the jail's fencing on the 24th of July. They were tortured jointly by the Rakhine and jail’s authorities. There are over 500 Rohingya prisoners arrested from Maung Daw and Buthidaung recently, have been tortured and leaving without food and drink." sent messages to their families that they could not be able to back alive and the wounds they got were damaged inner parts of organs." 23 July (Kaladan Press): Husson Johar- Regional Development Association (RDA) secretary hailed from Ward Number (3), Buthidaung , Yasin (Bamboo agent) from same Ward were arrested by police. Another 43 Rohingyas from Ward Number (7) were arrested from Mosque while they praying afternoon. Syed Ahmed s/o Amir Rafique, Salim s/o Abdul Amin, Shakar s/o Sultan, Salim s/o Faid Ahmed and Abdul Rahaman s/o Abdul Malek from Ywama village of Buthidaung were arrested by police for praying in Mosque by afternoon. 8 Rohingyas from Railway Block of Buthidaung were arrested by police. 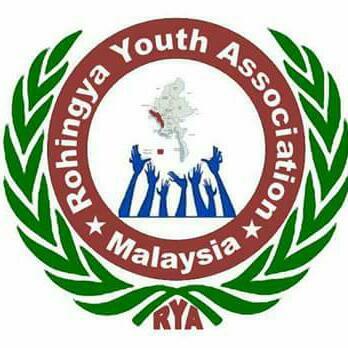 26 July: According to ERCA member Rofiq, 40 buffaloes from Rohingya villagers of Fa Laung Rwa (Falom fara) were taken away by Rakhines in the eveing around 3pm. During they taking away, they said that they have to killed at least Kalars' cattle.